Every year, a family at Placerita Baptist Church runs a ministry, whereby they organize a camping trip to Yosemite National Park. They have been running this ministry for a number of years, so much so, that Yosemite has become their “home away from home,” and now their trip has become incredibly popular. As a result, it is often difficult to get a spot as places fill up fast. However, we were blessed to be able to go this year. After four days in Lake Tahoe, we headed south and drove to Yosemite National Park. 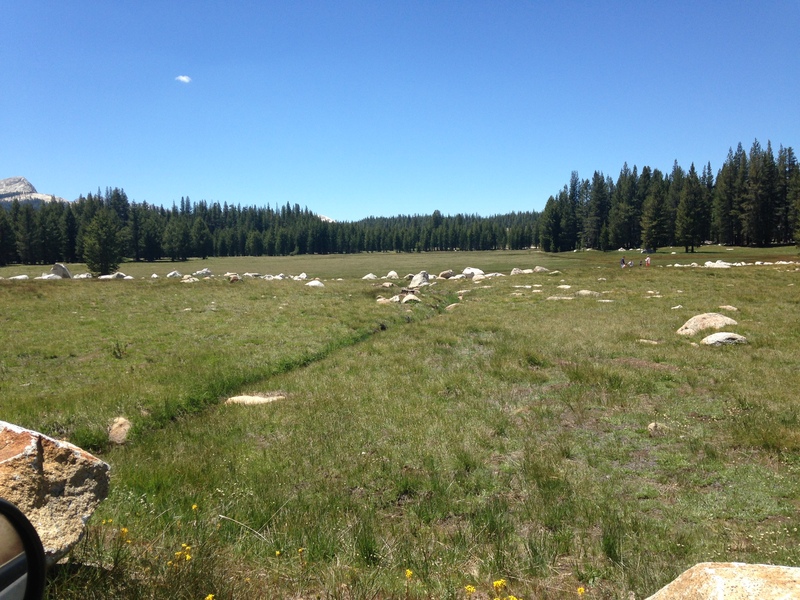 We took the east entrance to the park via the Tioga pass, and this proved to be a bit of a masterstroke (completely by accident, of course), as we were able to view a large portion of the park as we made our way to the Yosemite Valley. The road was slow, but easy, and incredibly spectacular. We were hoping to see some wildlife whilst at Yosemite, and things seemed to get off to a good start as within minutes of entering the park, we had to stop the car as a deer ambled across the road right in front of us. 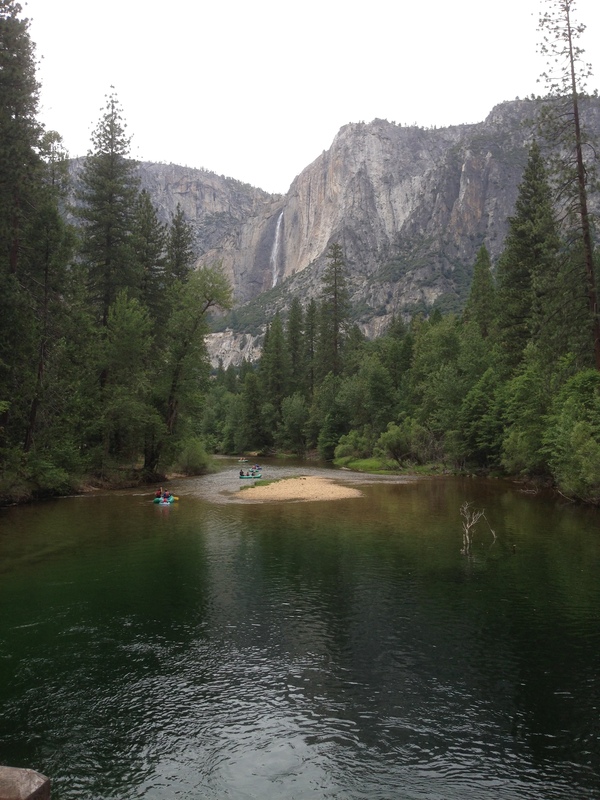 While at Yosemite, we stayed at Housekeeping Camp, situated in the Yosemite valley and beside the very scenic Merced River. Who would have thought it, but there was also a nearby beach on the river, where the children, and parents for that matter, could go swimming. The cabins were constructed from concrete, where three of the walls were solid concrete and the fourth ‘wall’ was a thick curtain. A wooden fence enclosed the front of the cabin, thus creating a front porch area – perfect for outdoor dining and entertaining. In separate building were the restrooms and showers. Yes, we were indeed camping! At Housekeeping, we also had amazing views of Half Dome and Yosemite Falls, right on our doorstep. It was truly amazing to wake up to a further display of God’s amazing power as evidenced in His creation. 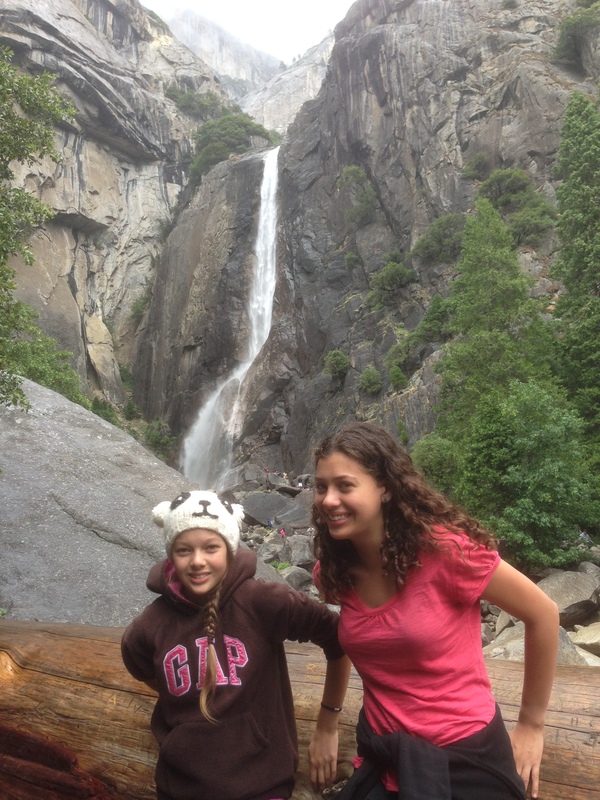 By staying in the Yosemite Valley, we were able to explore some of the incredible sights that Yosemite had to offer. For the next few days, we hiked, cycled and shuttled throughout the spectacular Yosemite Valley, viewing the incredible mountains, the plunging waterfalls and serene meadows. We also explored the other camps in the valley and their respective gift stores. 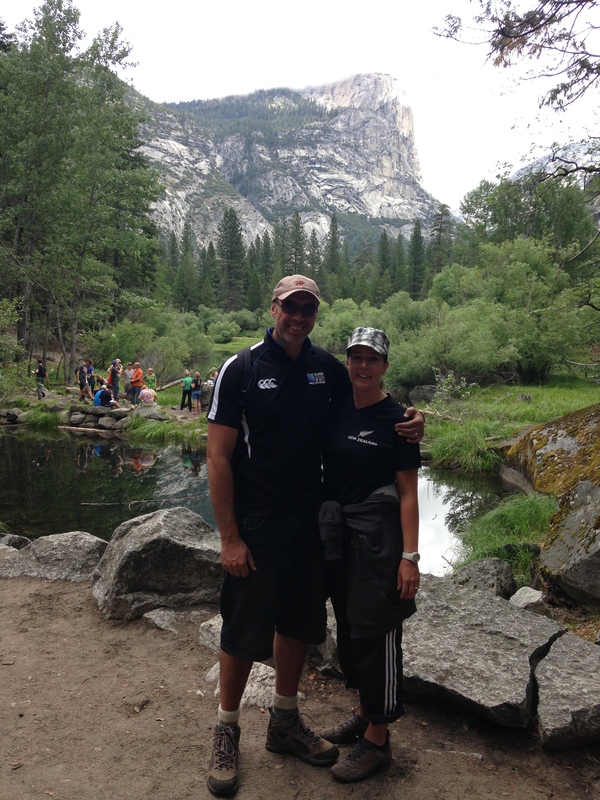 We had a great time at Yosemite, and sharing the experience with members of our church made it much better. We spent each evening gathered around a campfire, getting to know others better and participating in great fellowship. We are thankful for the time spent here. Thanks so very much for keeping us up to date with all your travels – it’s “nearly” like being with you. The Yosemite National Park sounds a really amazing place – one of God’s “special” places, one you can enjoy with Him and His people – what a true blessing. You must feel very close to Him right now. It’s great to see your smiling faces in all the family pics and all the neat places you’ve been (he said jealously). Say “Hi” from all of us here at Heretaunga won’t you. Enjoy the rest of your break and take care of one another won’t you.